This week saw the announcement of Apple Card, a credit card that doesn’t even a number on its face. While it remains to be seen if Apple will be successful here, certainly we are witnessing a new era of online financial services. More to the point are the development of open banking in the UK. The idea behind open banking was standardizing on APIs to make it easier to move from one bank to another. We are far from that here in the States but there are many innovators in the banking field. As a big proponent of online banking, here is my report on what I have been using and how they work, for Simple, Aspiration, USAA and Marcus. 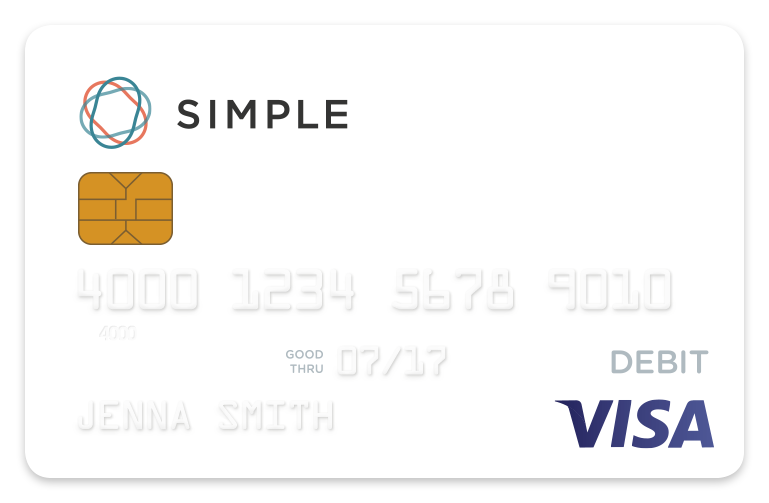 Simple was one of the first online banks and I have had an account for several years. They offer no-fee checking/savings and VISA debit cards, although there are some fees for foreign transactions and some ATMs. Opening an account takes minutes and their web interface is clean and easy to understand with superior online help and telephone support. Marcus is the online entity of Goldman Sachs (who is one of the partners for the Apple Card) and they have two main products: high-interest CDs (right now they offer a five year 3.1% rate) and no-fee loans (6% APR). Opening an account takes minutes and their web interface is clean and simple to understand. I had some issues setting up joint accounts and their telephone support was efficient and helpful and resolved it quickly. Aspiration offers no-fee checking and debit cards. Actually, that isn’t quite accurate: you decide on the fees that you wish to pay them. It is an interesting gimmick. You can select nothing, and you can change the amount as often as you wish. There are some third-party fees, such as for wire transfers, that they pass along at their cost. They also make it easier for you to donate money to particular causes that you can setup online. Activating my debit card from them required a call to their telephone support center. This could have been a network problem that they were experiencing at the time. They have a mobile app where they have spent more development time, and their web interface is pretty spare. USAA has been in the online financial services world for a very long time, and it shows. If you have a family member that has served in the military you can open an account. They offer life, car and home insurance, CDs, credit cards, mutual funds and many more products. They try to keep their costs low and usually send me a small check at the end of the year as a “dividend” to thank me for being a member. I have had my car insurance with them for a long time and they have superior claims service and amazing response time from their telephone call center. What services do you need? If you just want a no- or low-fee credit card, there are many solutions, including products from regular card issuers. If you need more online services, you will have fewer choices. USAA offers the widest spectrum and as I said has been doing it for the longest time. Opening and funding your account. You want a provider that has taken the time to build a simple and easy-to-use interface. Each provider does this slightly differently. All offer the ability to enter your bank routing and account numbers and make two test small deposits that you have to verify or you can provide your funding bank’s username and password. Aspiration had two issues: they made finding the external funding menus hard to find, and also they took a week to fund my account. The others were speedier with their funds transfer. Marcus wins this category. Making deposits, money transfers and obtaining reports. This is the meat of any provider and most have obvious ways of doing this. My local online bank had two separate procedures for funding and then linking an external account, which was annoying and took two calls to their phone support center to resolve. None of the four were any better or worse than others. What are the hidden fees? Simple is my favorite here, they were one of the first to be very explicit about the fees they charge. Plus, you can find out everything without having to become a customer. The others are less transparent, although they all offer lower fees than your traditional retail bank (as they should). What are the MFA implementation(s)? Both Simple and Aspiration offer SMS PINs to authenticate, and once you set this up, you can’t change anything without calling them. But the real standout is USAA, which in addition has other options as explained here, including support for Symantec’s VIP smartphone app. All of these are easily changed online, as long as you can find the linked URL above. If you check this list of MFA options for the banking sector, you will see support for the MFA authentication smartphone apps is pretty sparse. Sigh. International travel. Simple and Aspiration both offer quick notification of when and where you travel online, which is appealing to me and one of the reasons I went down this rabbit hole. For many years, I only had one credit card that I would pay off the balance each month. When I began doing more international travel, I realized that I wanted to minimize my exposure if my high-credit-limit card was lost or stolen. I opened an account with Simple, one of the first online banks. Do they offer a mobile app? Simple and Aspiration both offer them and focus on mobile as their primary method for customer transactions. As you can see, no single provider is strong in all areas, which is a shame because you would hope their development teams could learn from the best examples and enhance their sites. Some final words of wisdom: prepare to spend some time with your own research and step into these waters gingerly before committing a lot of your money with any provider. Find out what your local bank offers with their online services, as many of them realize they have to be competitive in this area. And feel free to make recommendations of your own experience in the comments. This entry was posted in digital home by dstrom. Bookmark the permalink.